Vladimir Samsonov departs, for the last time? Silver medallist two decades ago when beaten by Sweden’s Jan-Ove Waldner in the 1997 final in Manchester; Vladimir Samsonov, the no.12 seed, departed proceedings in the fourth round of the Men’s Singles event at the Liebherr 2017 World Championships in Düsseldorf on the evening of Saturday 3rd June. He was beaten by Lee Sangsu, the no.17 seed. Impressive, positive from the very first point, Lee Sangsu prove too fast for his more senior adversary (11-9, 11-1, 11-3, 11-9), on an evening that saw mixed fortunes for Korea. The win was recorded prior to Jeong Sangeun, the no.44 seed, experiencing defeat at the hands of Hong Kong’s Wong Chun Ting, the 7 seed (11-7, 13-11, 11-8, 6-11, 11-7). Time and again Vladimir Samsonov, as stylish as ever was forced into the passive role; matching the power of attacking strokes from the Korean was a task too far. Success for Lee Sangsu; to the delight of the crowd there was also success for Timo Boll, the no.8 seed. He accounted for Portugal’s Marcos Freitas, the no.14 seed (5-11, 11-7, 15-13, 11-9, 11-6). The win for Timo Boll means that in the quarter-finals he meets China’s Ma Long, the top seed, he overcame Chinese Taipei’s Chuang Chih-Yuan, the no.9 seed, in four straight games (11-8, 13-11, 11-1, 11-6). 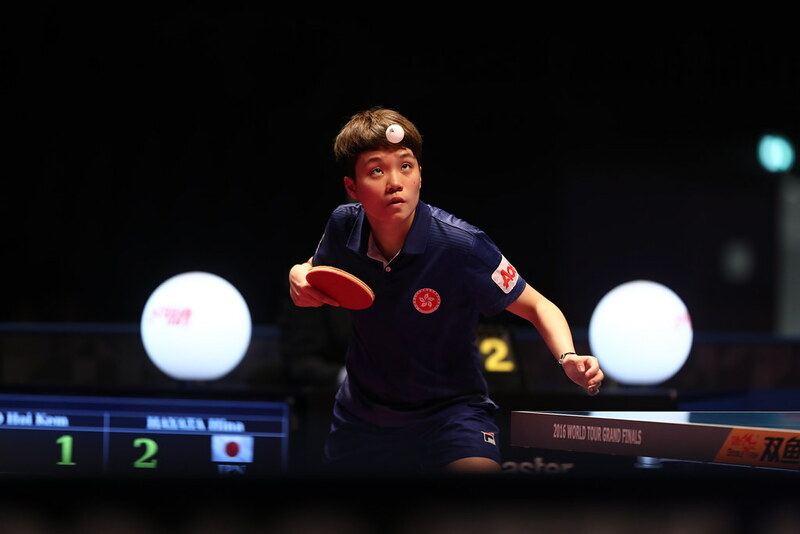 In the same half of the draw, Japan’s 13 year old Tomokazu Harimoto, the no.53 seed, faces the winner of the all Chinese contest between Xu Xin, the no.3 seed and Lin Gaoyuan, the no.33 seed. Earlier, Tomokazu Harimoto accounted for the Slovak Republic’s Lubomir Pistej (12-10, 11-6, 11-9, 9-11, 11-9). Meanwhile, in the lower half of the draw, Lee Sangsu meets Wong Chun Ting; China’s Fan Zhendong, the no.2 seed, faces the winner of the contest that features Japan’s Koki Niwa, the no.10 seed against the host nation’s Dimitrij Ovtcharov, the no.5 seed. In the morning session of play, Fan Zhendong ended the adventures of Germany’s Ruwen Filus, the no.26 seed (13-11, 11-13, 11-7, 11-3, 9-11, 11-3). The two remaining fourth round Men’s Singles matches in addition to all the quarter-final contests will be completed on Sunday 4th June.